Many of Dr. Van Treese’s young patients in the Sidney, OH area are undergoing some sort of orthodontic treatment. While receiving orthodontic treatment will improve the cosmetics of your smile, the functionality of your mouth, and your long-term health, it can have adverse effects on your current oral health. The reason for these adverse effects is that braces add a lot of bulk to your mouth, and make removing plaque, tartar, food particles, and germs from your mouth more difficult. Below, Dr. Van Treese offers 4 tips on how to keep your mouth healthy while going through your treatment. While it is harder to keep your mouth clean, it is not impossible! Usually, if you use proper technique, you can remove plaque and tartar from your mouth with no issues at all. However, when you add brackets and wires into your mouth, things get a little more difficult. 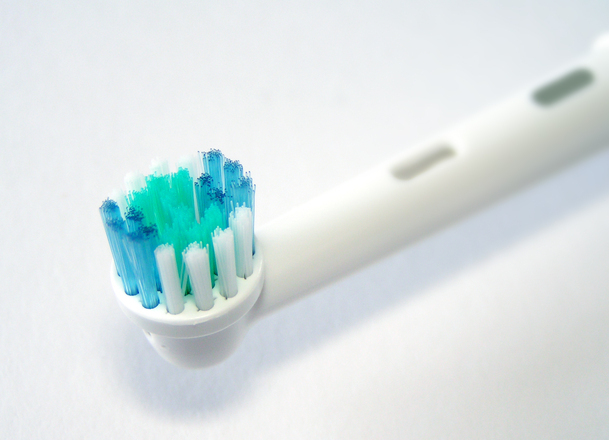 To counteract all this bulk, you should use an electric toothbrush for more effective brushing and removal or food debris, plaque, and tartar! We touched on technique briefly above. However, Dr. Van Treese wants to stress the importance of using the correct technique when doing your dental hygiene. Proper technique includes brushing the correct way for two minutes at a time and flossing as directed. With all the clunky metal in your mouth, flossing becomes much more difficult. However, it is still important to floss your teeth to keep them fully healthy. Your teeth demineralize (and remineralize) every single day. By introducing more minerals into your mouth, you will keep your teeth strong and resist more cavities. To consume more minerals, you should choose dental products that contain fluoride, drink more tap water, and consume more dairy products. Are you in need of professional cleaning in Sidney, OH? Dr. Van Treese wants your oral health to be in great condition. If you are in the Sidney, OH area or Shelby County, we welcome you to schedule an appointment.